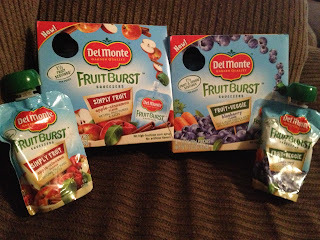 Del Monte Fruit Burst Squeezers Review and Giveaway Ends 9/21! Disclosure: I received complementary samples in order to facilitate a review. No other compensation was received. All opinions were honest and my own but may vary from yours.The Del Monte products, information and two gift packs have been provided by Del Monte. Giveaway is in no way associated with Facebook, Twitter, Google, Pinterest or any other social media site. My daughter started back to school last week and things have been a bit hectic with trying to get back to a normal school year routine, getting homework completed and packing lunches. My daughter loves fruit and veggies but it's not always possible to pack them in her lunch. 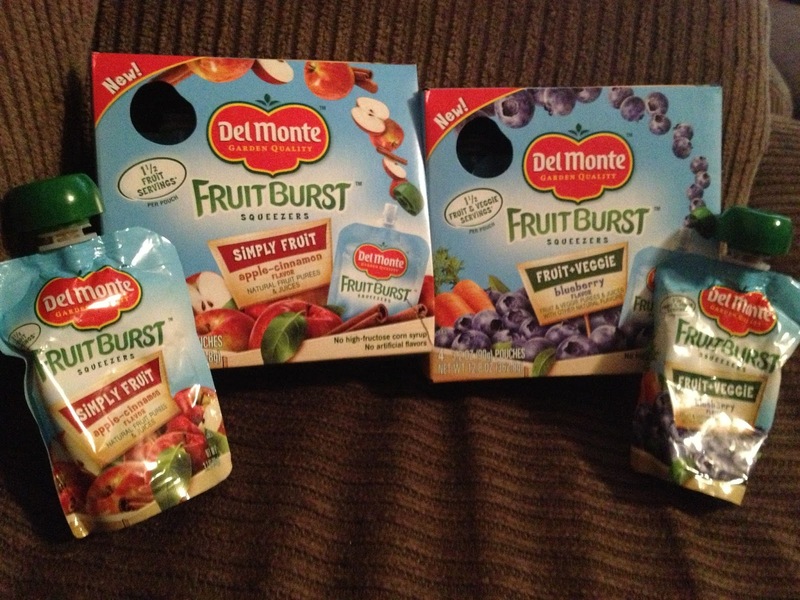 Del Monte recently contacted me to see if I was interested in their new Fruit Burst Squeezers. I was happy to say yes. Each box contains 4 pouches that are resealable with a cap so no need to throw away if your child doesn't finish the pouch in one sitting. They don't have any high fructose corn syrup or artificial flavors and contain an excellent source of Vitamin C.
While my daughter did most of the tasting, I did get to taste both varieties. Simply Fruit - Apple Cinnamon Flavor - The definite winner of the two varieties we tried! YUM! Amazing flavor of apple and cinnamon combined. It reminded me of Fall. The cinnamon isn't overpowering at all and the sweetness is just right. At only 80 calories per pouch, this is sure to be a winner for children who love apples. Fruit + Veggie - Blueberry Flavor - My daughter hesitated with this one because she saw veggie on the packaging. While she loves most veggies, she doesn't like the idea of fruits and veggies combined. I tried it first and wow! You cannot tell there is 1 1/2 servings of fruit and veggies in this. It simply tastes like blueberries. My daughter finally tried it as well and couldn't even tell there were veggies in it. 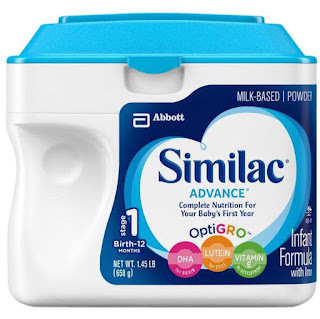 If you struggle with getting your kids to eat veggies but want them to get those veggie servings in, this could be your answer. These would be great for in your purse or diaper bag, packed in a school lunch or even just as an after school snack. 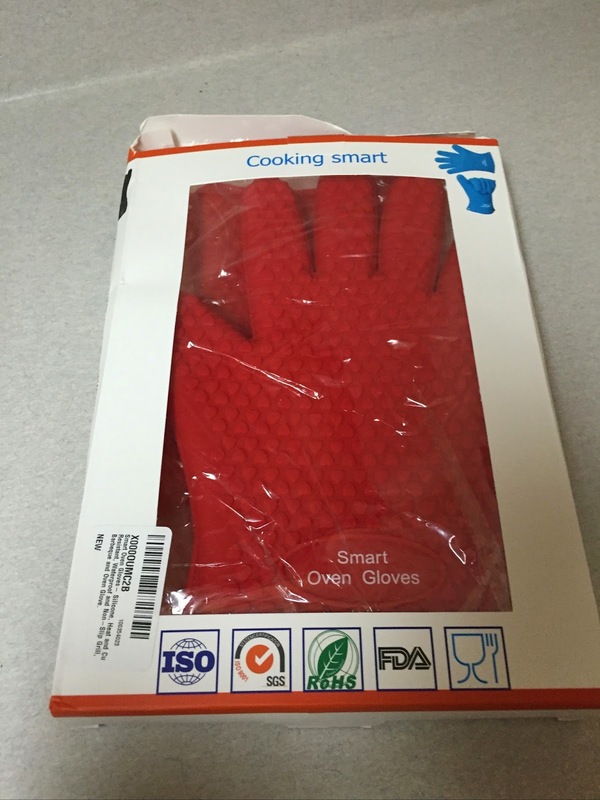 These were a big hit in my home so I would definitely recommend them. RULES - You must be 18 or older to enter and live in the US. Giveaway ends 9/21/13 at 11:59 pm eastern time. Winner will be chosen via Random Number Generator within the Giveaway Tools Widget. Winner will be emailed and have 48 hours to respond or another winner will be chosen. Use the Giveaway Tools Widget to enter.